It will likely be years, or even decades, before Apple produce an iPhone that can display holograms, however some particularly tech savvy people have managed to speed up the process by creating their own holographic device. 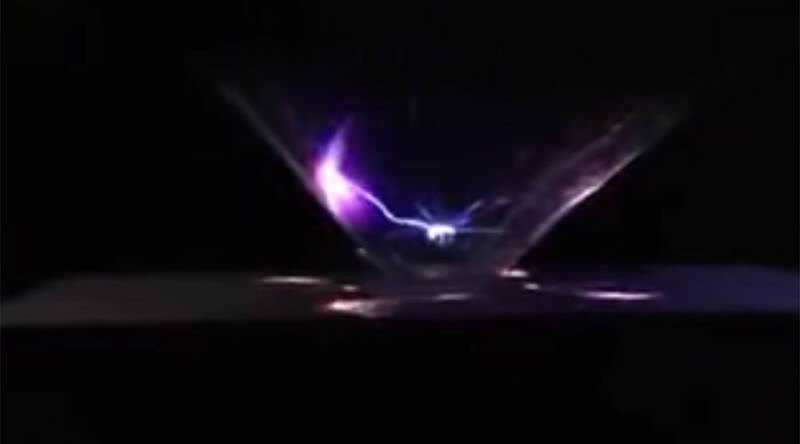 The iPhone hack has been taken to a whole new level with one enterprising iPhone user creating a mesmerizing static electricity hologram that creates the illusion of colorful lightning firing right out of the screen. At one point, the ‘lightning’ hologram effect appears to turn into some kind of electrical arachnid. The canny hack turns the everyday device into a work of art. Made from graph paper and a CD case, the technique emerged last year - and much to the delight of hologram fans, judging from the how-to video’s 15 million YouTube views.